That's why I was so excited to hear that it was part of the collection that M.A.C. had put together with Hayley Williams from Paramore -- apparently, she insisted on having it included because she's a big fan of Lightscapade herself. M.A.C. describes Lightscapade as a soft candlelit beige with multidimensional shimmer -- and I think that's what I love about it so much. Unlike most of the highlighters that I have which seem to lean either golden or pink in color, Lightscapade is a beige tone. Because of that it just seems to look more natural on the cheeks than other highlighting products so it's an ideal option for everyday wear. 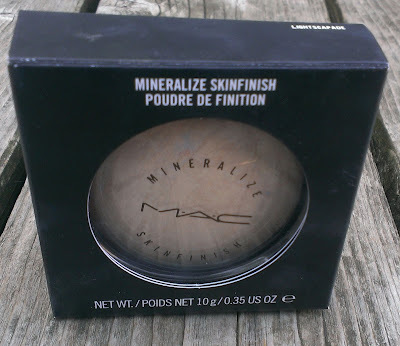 What's really cool about it, though, is that like all of the Mineralize Skinfinishes, it's a marbelized product and there are actually some blue veins running through it. That gives it a slightly cool undertone, and I don't really have any highlighters like that. Now, as much as I love the M.A.C. Mineralize Skinfinishes in general, they can be tricky to work with sometimes because they usually have a very metallic finish that can be a little too much. 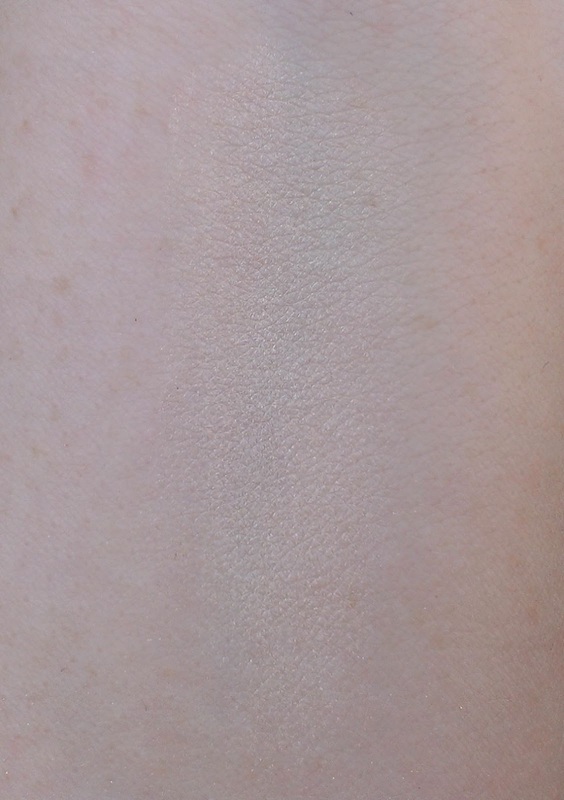 Lightscapade has a much softer look on the skin, so the effect is subtle and very natural. In fact, on the super pale inside of my arm, you can barely see the swatch, but on the face, it catches the light in a really pretty way. I'm absolutely obsessed with Lightscapade, actually. It may just be my favorite makeup purchase of the year so far. Well, it's definitely in the top three anyway. You can still purchase Lightscapade on the M.A.C. website. It retails for $30, which I know is a lot, but you get 10 grams of product so it will probably last a lifetime. Have you tried M.A.C's Mineralize Skinfinish in Lightscapade? 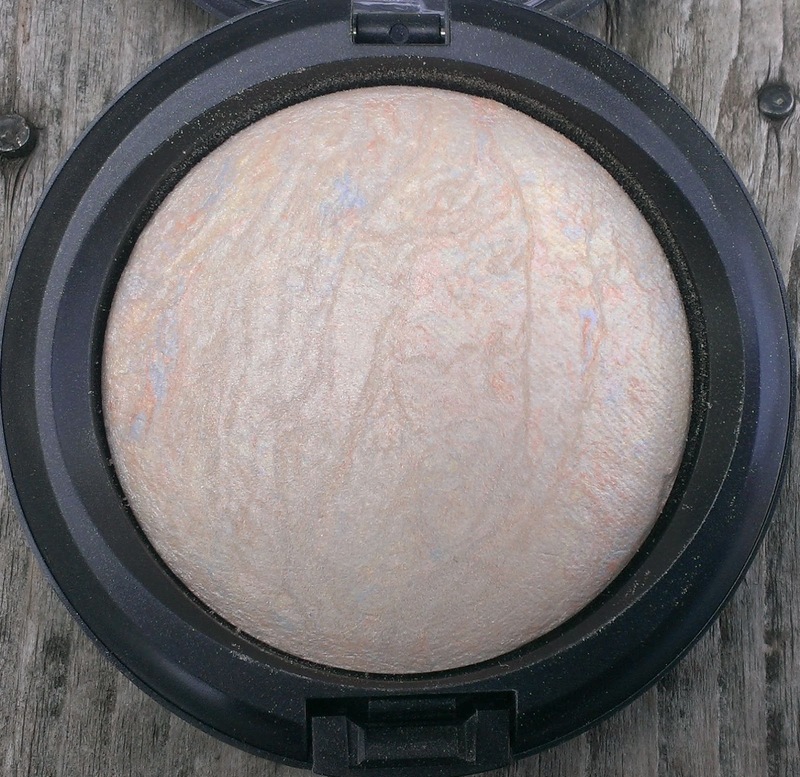 What's your favorite highlighter for a natural look? Looks very pretty! I've never tried any M.A.C. products, but am looking to find my way into them. It's really perfect for days when you want a subtle, natural highlight. I'm absolutely in love with it. This is a really pretty highlighter!